September | 2014 | Books Now! 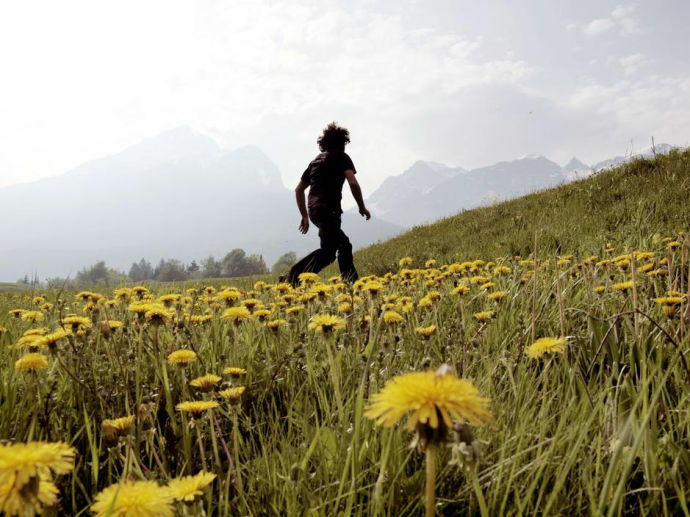 Since at least the time of peripatetic Greek philosophers, many other writers have discovered a deep, intuitive connection between walking, thinking, and writing. (In fact, Adam Gopnik wrote about walking in The New Yorker just two weeks ago.) “How vain it is to sit down to write when you have not stood up to live!” Henry David Thoreau penned in his journal. “Methinks that the moment my legs begin to move, my thoughts begin to flow.” Thomas DeQuincey has calculated that William Wordsworth—whose poetry is filled with tramps up mountains, through forests, and along public roads—walked as many as a hundred and eighty thousand miles in his lifetime, which comes to an average of six and a half miles a day starting from age five. What is it about walking, in particular, that makes it so amenable to thinking and writing? The answer begins with changes to our chemistry. When we go for a walk, the heart pumps faster, circulating more blood and oxygen not just to the muscles but to all the organs—including the brain. Many experiments have shown that after or during exercise, even very mild exertion, people perform better on tests of memory and attention. Walking on a regular basis also promotes new connections between brain cells, staves off the usual withering of brain tissue that comes with age, increases the volume of the hippocampus (a brain region crucial for memory), and elevates levels of molecules that bothstimulate the growth of new neurons and transmit messages between them. The way we move our bodies further changes the nature of our thoughts, and vice versa. Psychologists who specialize in exercise music have quantified what many of us already know: listening to songs with high tempos motivates us to run faster, and the swifter we move, the quicker we prefer our music. Likewise, when drivers hear loud, fast music, they unconsciously step a bit harder on the gas pedal. Walking at our own pace creates an unadulterated feedback loop between the rhythm of our bodies and our mental state that we cannot experience as easily when we’re jogging at the gym, steering a car, biking, or during any other kind of locomotion. When we stroll, the pace of our feet naturally vacillates with our moods and the cadence of our inner speech; at the same time, we can actively change the pace of our thoughts by deliberately walking more briskly or by slowing down. Where we walk matters as well. In a study led by Marc Berman of the University of South Carolina, students who ambled through an arboretum improved their performance on a memory test more than students who walked along city streets. A small but growing collection of studies suggests that spending time in green spaces—gardens, parks, forests—can rejuvenate the mental resources that man-made environments deplete. Psychologists have learned that attention is a limited resource that continually drains throughout the day. A crowded intersection—rife with pedestrians, cars, and billboards—bats our attention around. In contrast, walking past a pond in a park allows our mind to drift casually from one sensory experience to another, from wrinkling water to rustling reeds. Still, urban and pastoral walks likely offer unique advantages for the mind. A walk through a city provides more immediate stimulation—a greater variety of sensations for the mind to play with. But, if we are already at the brink of overstimulation, we can turn to nature instead. Woolf relished the creative energy of London’s streets, describing it in her diary as “being on the highest crest of the biggest wave, right in the centre & swim of things.” But she also depended on her walks through England’s South Downs to “have space to spread my mind out in.” And, in her youth, she often travelled to Cornwall for the summer, where she loved to “spend my afternoons in solitary trampling” through the countryside. Perhaps the most profound relationship between walking, thinking, and writing reveals itself at the end of a stroll, back at the desk. There, it becomes apparent that writing and walking are extremely similar feats, equal parts physical and mental. When we choose a path through a city or forest, our brain must survey the surrounding environment, construct a mental map of the world, settle on a way forward, and translate that plan into a series of footsteps. Likewise, writing forces the brain to review its own landscape, plot a course through that mental terrain, and transcribe the resulting trail of thoughts by guiding the hands. Walking organizes the world around us; writing organizes our thoughts. Ultimately, maps like the one that Nabokov drew are recursive: they are maps of maps. Tags: creativitiy, meditation, New Yorker magazine, philosphy, walking, writing | Permalink.